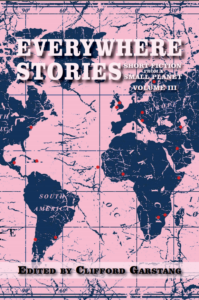 Everywhere Stories: Short Fiction from a Small PlanetVolume III is now available for pre-order. Like the earlier volumes, this book includes 20 short stories by 20 writers set in 20 countries. Barbara Krasner’s story is set in the Czech Republic. Barbara Krasner is a PhD candidate in Holocaust & Genocide Studies at Gratz College and holds an MFA from the Vermont College of Fine Arts. 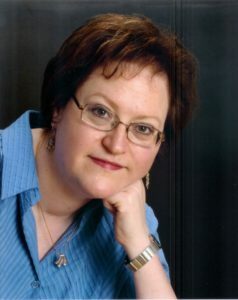 Her fiction has appeared in Michigan Quarterly Review, Jewishfiction.net, Lilith, Jewish Literary Journal, Jewish Women’s Literary Annual, and other publications. Her short story, “The Guardian,” based in Poland, appeared in Everywhere Stories, Volume II. She teaches the Holocaust, professional and creative writing, and composition in New Jersey. Comment on “The Last Survivor”: “The Last Survivor” was prompted by interviewing a survivor in a Jewish Studies class during my 2011 Prague Summer Program.